Yen Press will be releasing Kingdom Hearts II: The Novel Volume 1 in English on June 20, 2017 at an original retail price of $16.00 USD. Pre-orders are available now at Barnes & Noble, Amazon, Book Depository, and RightStuf. This is the first announcement regarding the publication of this volume outside of Japan, where it was published on April 22, 2006. The Kingdom Hearts II light novel series, written by Tomoco Kanemaki, with illustrations by Shiro Amano, and concept by Tetsuya Nomura, finished in Japan in 2007, and now it is finally being released in English as well. The Japanese Kingdom Hearts II light novel series had four volumes, but for the English series, they've decided to combine them all together to create two large volumes. Kingdom Hearts II: The Novel Volume 1 contains volumes 1 and 2 of the original Japanese series, while the upcoming Kingdom Hearts II: The Novel Volume 2 will contain volumes 3 and 4 of the original Japanese series. 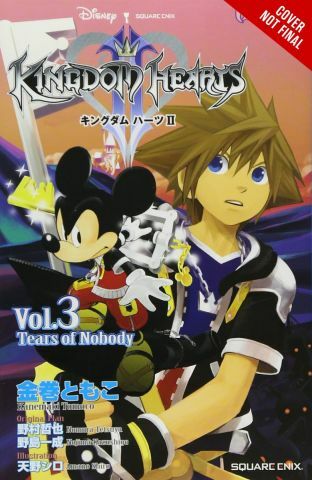 You can view a potential cover for Kingdom Hearts II: The Novel Volume 2 below. 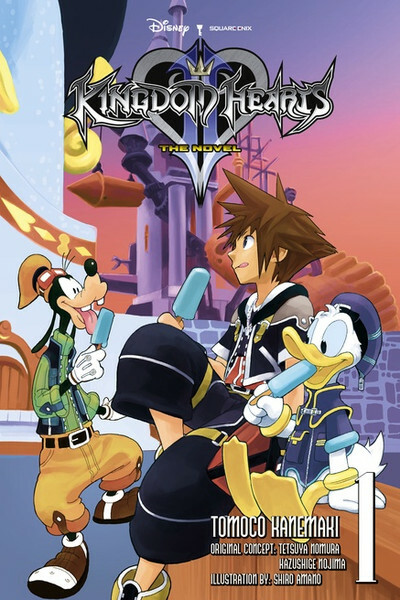 Yen Press has also previously localized Kingdom Hearts: The Novel and Kingdom Hearts Chain of Memories: The Novel internationally in 2015 following high fan demand. Do you own any of the previous Kingdom Hearts novel series? Will you be adding Kingdom Hearts II: The Novel Volume 1 to your collection? Let us know in the comments below! UPDATE 1: The Yen Press webpage for Kingdom Hearts II: The Novel Volume 1 is now up. Based on the hit video game series! UPDATE 3: The cover for the English Kingdom Hearts II: The Novel Volume 1 has been shown off. Last year, Yen Press announced that they will be releasing the first volume to the Kingdom Hearts II light novel series by Tomoco Kanemaki, Kingdom Hearts II: The Novel Volume 1 on June 20, 2017. Thanks to Yen Press again, we now have a look at the front cover for this volume. UPDATE 4: A release date for Kingdom Hearts II: The Novel Volume 2 has been revealed. It will be releasing on December 12, 2017 for $16.00 USD. Pre-orders are now available at Barnes & Noble and Amazon. Thanks to KHInsider for the tip! UPDATE 5: The English Kingdom Hearts II: The Novel Volume 1 has released today on June 20, 2017. You can order it at Barnes & Noble, Amazon, Book Depository, and RightStuf. UPDATE [Nov. 20, 2017]: Kingdom Hearts II: The Novel Volume 2 seems to have been delayed to December 19th, 2017. Learn more about that in the full article here. Nice, I've been planing to get the novels sooner or later. Hoping the localise the BBS novel as well, along with the DDD novel. Ooh, this is interesting! Thanks for this news, human! So I assume the split is JP 1&2 into EN 1, and JP 3&4 into EN 2. What are they going to do with the short story anthologies? 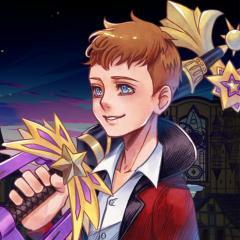 Anyone read the KH or CoM Novels? Are they worth my time? 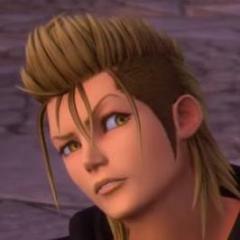 KH1 is mostly just a retread of the original game. Not bad, but I'd rather just play the game. Another cool thing about the novel is the Riku perspective on the story. 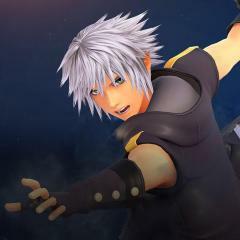 Not just the real Riku, but the Riku Replica. It adds so much to his character in ways the game never possibly could. The only downsides I can say about the book is that the dialogue tends to make excuses for itself. Sometimes, Goofy will just go 'Huh? What's wrong, Sora?" to indicate that Sora has just been standing around thinking to himself without any real indication that that's what he's been doing since that's better presented in a visual medium. This happens a couple times throughout the book and it's kind of silly in its execution. TL;DR: Yes, read the CoM novel. Also, read the KH1 novel if you want, but read CoM definitely. Consider me convinced. Thank you for the reply! When you were a kid? Are you sure you're not just talking about the manga? Because the English versions of the novels were released in 2015, unless you've read the Japanese versions. KH2's original story must be very long.